Plasma cutters don’t just belong inside warehouses anymore. If you find yourself working with metals on a regular basis inside your very own workshop, there’s a good chance that the best plasma cutter will prove quite helpful to you. Before you rush out to get your hands on a plasma cutter yourself, it would be best to read up first on what you should get based on your needs and preferences. We will provide you with that valuable information in this article, and we’ll also give you detailed reviews of some of the best plasma cutters currently on the market. Inevitably, you will hear about the term “cut rating” while shopping for a plasma cutter, and this is an aspect of the aforementioned piece of equipment that you should pay close attention to. Generally speaking, there are three types of cut ratings for plasma cutters. Rated Cut – Plasma cutters with this rating are capable of going through thinner pieces of metal and providing neat cuts. Quality Cut – Expect to see a bit of a downgrade in terms of how neat the cut is when using a cutter with this rating. This is better suited for thicker pieces of metal however. Sever Cut – Plasma cutters with this rating won’t be neat at all, but those machines are what you’ll need for really thick metals. Machines with this rating also cut very slowly. You can find plasma cutters with all three cut ratings, so try to acquire one of those as much as possible. 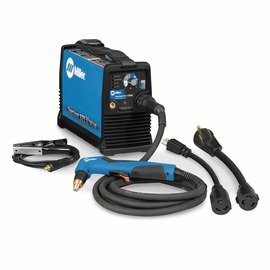 Is There a Recommended Operating Amperage for Plasma Cutters? You know your projects better than anyone, but if you have little to no experience using a plasma cutter, it can be difficult to grasp just how much power you need for what you want to accomplish. 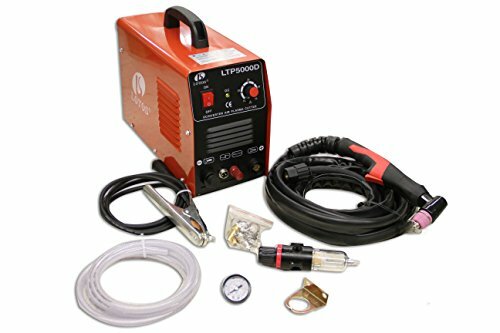 To help out hobbyists, the folks at EverlastGenerators.com have come up with a recommended amperage for using the plasma cutter. According to them, the “lowest practical limit” for a plasma cutter in terms of amperage is 20. Operating at that level, the plasma cutter should be able to cut neatly through a material that is an eighth of an inch or 3.2mm-thick. From there, they say that you can add 10 more amps for every additional eighth of an inch. Test the formula out for yourself and see what kinds of cuts you get. The plasma cutter is a heavy-duty tool and you will need to protect yourself adequately before using one. Start with the plasma cutter itself and check to see if it wired properly. After that, the folks at ShapeCut urge you to get some protective equipment and that includes both rubber and welding gloves, safety boots, a face shield or safety glasses, and a fire-resistant apron. You are also advised to stand on top of a rubber mat whenever you are using a plasma cutter to further reduce the chances that you end up getting electrocuted. Now, let’s move ahead to the reviews. Precise cutting of thinner materials is what the Plasma Cutter 40A from HITBOX specializes in. It’s important that you know that going in. Metals that are no thicker than 8mm or just a bit over 0.3 inch are no problem for this item. You can examine the results after and find that the edges aren’t rough at all. The issue is when you have to use this cutter for the thicker stuff. It can still find a way to handle items that are half of an inch thick, but even at that point, the quality of the cut already suffers. As long as you stick to cutting thinner materials with this HITBOX offering, you should be satisfied with the results. The fact that this item can still function well even when the surrounding air pressure is high is a nice bonus and that will come in handy if you’re working in certain cities. 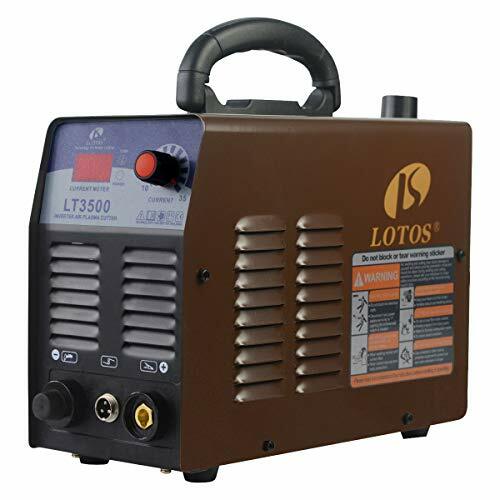 Compared to the one listed above, Lotos’ LTP5000D 50 Amp Non-Touch Pilot Arc Plasma Cutter packs more power. If you put a piece of steel in front of it that is three quarters of an inch thick, it will still be able to cut through that material for you. Lower the thickness of the material, and the quality of the cut should improve. But, you should know that getting an immaculate cut with Lotos’ plasma cutter is a real challenge. It struggles when you’re asking to be extremely precise and that can be an issue depending on what type of project you are putting together. This plasma cutter does well to minimize waste when you are using it though, and that’s a great feature for those who don’t want to spend their entire evenings just cleaning up in their workshops. 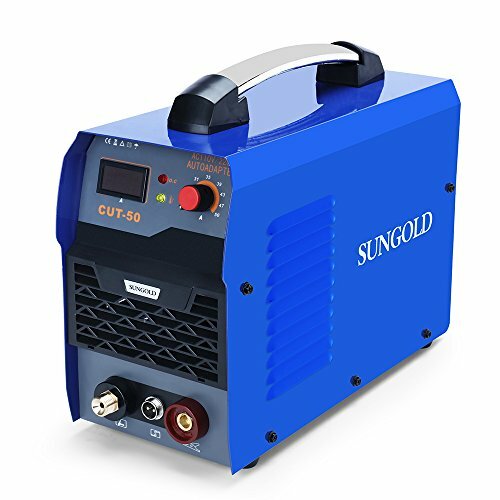 SUNCOO’s Cut-50 Plasma Cutter is another dual-voltage item, and that is worth pointing out because it’s a feature that significantly affects this piece of equipment’s performance. When it’s running at 110 volts, this plasma cutter works okay. The cuts produced are decent but nothing special and the speed is just acceptable as well. You’re not getting the most out of this plasma cutter if you’re running it at that level however. In order to get the most out of this SUNCOO offering, you should have it operate at 220 volts. With that amount of power backing it, you will be able to witness this plasma cutter glide through pieces of metal that are three quarters of an inch thick. The biggest strike against this plasma cutter is probably its bad handle. You want something stronger for an item such as this, and a strap just isn’t good enough. Just be careful when moving this plasma cutter around, and you should be able to use it with no problem. The size of the plasma cutter is not often taken into account when people are shopping for one, but it really is something you should take into consideration. Exhibit A for why you should do that is VIVOHOME’s DC Inverter Plasma Cutter. You will be able to find plasma cutters that weigh less than this VIVOHOME product, but when you combine that with its smaller frame, you get something that is really portable. No, having a strap instead of a handle again is not ideal, but it’s not as big of an issue because this plasma cutter is easier to carry around. You’ve probably already guessed it but the smaller frame does also have an impact on the kind of performance this cutter can deliver. The cutting range is somewhat limited as it tops out at around half an inch, but you can live with that thanks to this item being so handy. Plasma cutters are complex machines. Because of that, you will often have to go through an elaborate preparation process first before you can use one. The LT3500 35 Amp Air Plasma Cutter from Lotos suffers from no such issue. This particular plasma cutter has been designed with convenience in mind. You don’t have to worry about setting aside time to hook this machine up to your air compressor as the pre-installed NPT type D plug helps wonderfully with that. 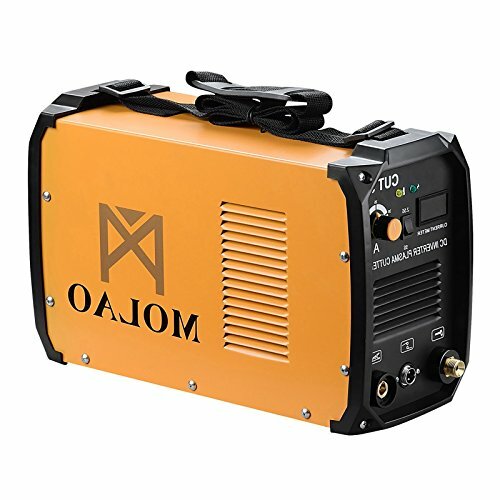 It is also possible for you to quickly connect this plasma cutter to 110-volt wall outlet in your home. Going through the prep process for this plasma cutters should only take a couple of minutes tops. In terms of performance, this Lotos product does leave a lot to be desired, but stick to using it on smaller projects and you’ll be happy with the results. Something you’ll inevitably notice when you’re looking for smaller plasma cutters that are fit for home use is that there are more than a few that are not user-friendly. What I mean by that is that the instructional manuals are often hard to interpret and the controls on the plasma cutter itself are not labeled clearly. 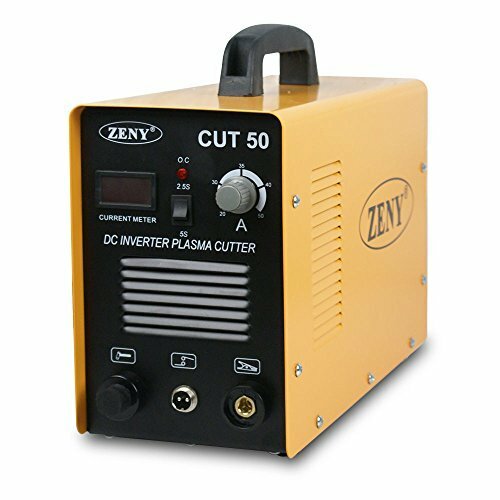 You won’t have to worry about something like that being an issue with the Cut 50 Plasma Cutter from ZENY. As you’ll see, everything on this plasma cutter is clearly labeled and that will make it easier for you to set it up. It’s also the kind of plasma cutter that you can use for most of the day without any issue. Admittedly, it does lack top-end power even for a home-based plasma cutter, but you can count on it to produce some clean-looking cuts. As you might have already guessed, I value power in plasma cutters. 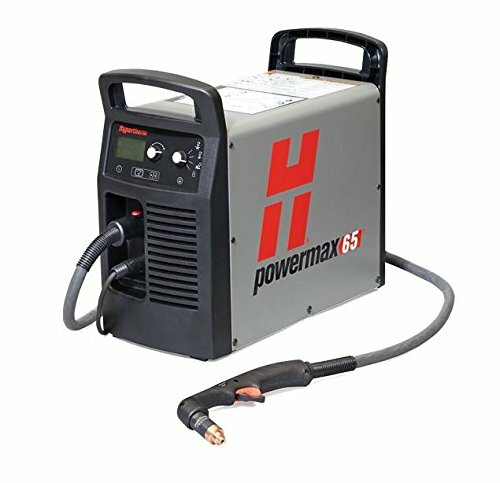 With that said, you can probably also guess what I think of Hypertherm’s Powermax 65 Hand System plasma cutter. 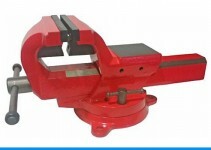 This powerhouse possesses the ability to produce clean cuts of materials that are three quarters of an inch thick. And that’s the lower end of its power. Even if you put steel that is an inch-thick in front of it, you can expect this plasma cutter to go through that material like a hot knife through butter. If you really want to push this plasma cutter to its limit, then feel free to use it to cut through a piece of metal that measures about 1 ¼ inches. This plasma cutter works quickly though, so don’t shy away from using those thicker hunks of metal if you have this machine in your workshop. Many hobbyists have day jobs to go to, so even if they would love to just stay in their workshop every day, that’s not a real option. That’s why it is important to have a plasma cutter capable of running all afternoon if it is asked to, and that is what you can expect from SUNGOLD’s Cut 50 Air Plasma Cutter. 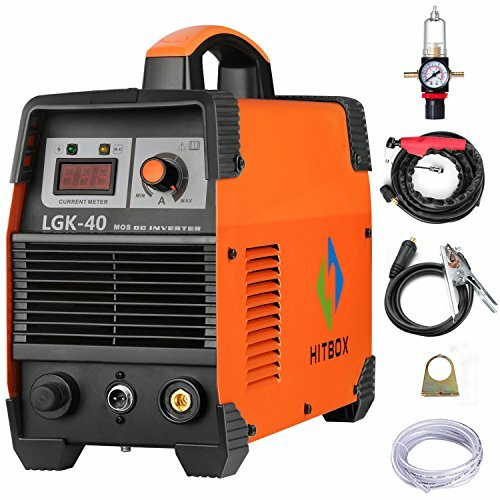 The high duty cycle gives this plasma cutter the ability to continue working for a long stretch of time. It doesn’t possess the same kind of high end power as the one featured by the Hypertherm product listed above, but it is efficient and makes the most out of the power you are putting into it. 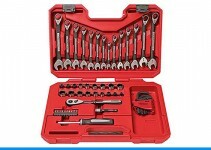 While the plasma cutter itself features great durability, the same cannot be said for the accessories included with it. This other Hypertherm product is not quite as powerful as the item mentioned previously in this article. However, it still gives you a decent amount of punch as well as something else you’ll probably like. 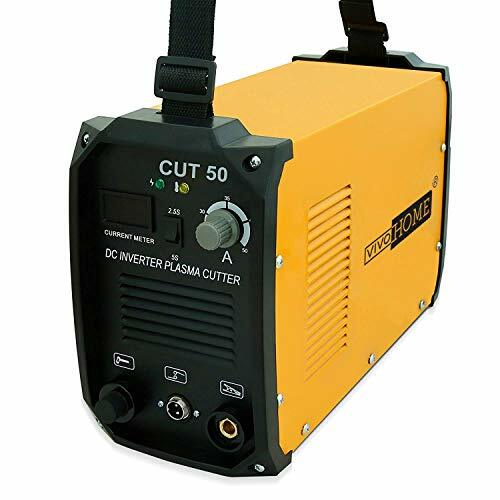 Cutting through metals that are 0.6-inch thick is more than manageable for this plasma cutter, but what’s even better is that all that power is contained within a small package. 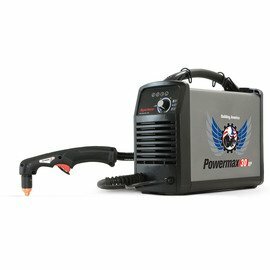 Hypertherm’s Powermax 30 is one of the smallest plasma cutters you’ll see. I criticized other plasma cutters earlier for using straps, but with this plasma cutter, doing that makes sense. This is precisely the kind of plasma cutter that you can carry all day without straining your body. 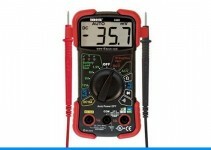 It also offers the auto-voltage feature for your convenience and the knob included allows you to fine tune the power level to ensure that your cuts are precise. The folks at Miller want you to get a ton of working hours out of their Spectrum 625 X-treme Plasma Cutter. The Spectrum 625 X-treme Plasma Cutter can slice through materials that are up to 0.6-inch-thick with no problem. Even if you’re operating at that level, the force being produced by the cutter isn’t going to affect you too much because the grip has been designed to keep your hands nice and comfy while working. Taking a closer look at the plasma cutter itself reveals solid construction, and if you do find yourself needing to travel with this powerful tool, you can make use of the included case to ensure that it will not be damaged during the journey. It is a bit weighty, but that minor flaw does little to take away from what is an exceptional example of a plasma cutter. Durability is baked into the design of this plasma cutter. The last plasma cutter we’ll discuss is a bit different from the ones reviewed previously. 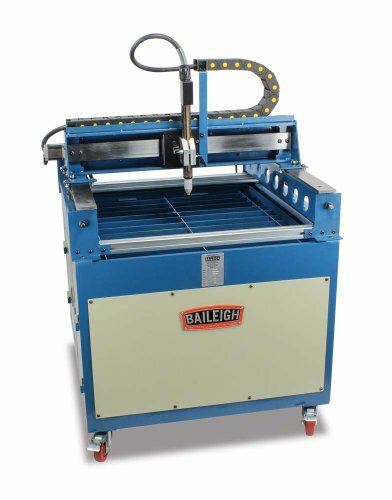 Baileigh’s PT-22 CNC Plasma Cutting Table is not as portable as the products mentioned earlier, but it is highly functional nonetheless. Getting started is easy as the table already arrives fully assembled and the design software is also user-friendly. Take a few minutes to familiarize yourself with it and you should be ready to work on materials with this plasma cutting table not long after. You also receive a water bath together with this plasma cutter, which is a nice touch on the part of the folks at Baileigh. You’ll also be the one who decides the capacity for this cutter, so take into account what materials you’ll be working with most often. This is an excellent starting item for those new to plasma cutters, but if you’re a veteran hobbyist, you may want something loaded with more features. Hopefully, you’ve been able to pick up useful information from this article and are now better equipped to pick out a new best plasma cutter for yourself. Plasma cutters aren’t the cheapest tools on the market, but considering how useful they are, you’re sure to get great return on your investment in the long run.